Keep your feng shui fresh. for important tips and great advice for life. Do you know where to place your feng shui remedies in 2019 to attract good fortune? Do you know what the Year of the Pig has in store for you? Read more. As your family and possessions grow throughout your life, you may find you need to move to a larger home at some stage. Perhaps you decide you want extra rooms for guests to stay overnight, more room to store your stuff, or maybe you want an impressive home to entertain. One of the most common feng shui mistakes I see in my consulting work is the placement of mirrors – particularly around the front door and in the bedroom. I’ve put together two videos explaining the feng shui principles of mirrors and best placement. Read it here. Feng Shui and Astrology predictions for 2018 - the Year of the Dog. Find out what the Year of the Dog has in store for you. Read more. Welcome to part two on my meeting with Dr. Baolin Wu, the author of one of my favourite feng shui reference books 'Lighting the Eye of the Dragon'. Read more. Did you know ... the veil, the energetic an psychic barrier between dimensions is said to be at it's thinnest at this time? Read more. On a recent trip to LA, I had the honour of meeting Dr Wu, the author of one of my favourite feng shui reference books ‘Lighting the Eye of the Dragon’ and a Taoist Feng Shui Master. Such an amazing experience! Read all about it here. I don't know about you, but I've never been great with plants, and yet my husband is a natural - everything thrives around him. It's not until I started learning feng shui around 15 years ago that I started to appreciate the magic of plants and how they can energise a space and uplift the spirit. Through further research I found out plants are natural air purifiers, removing toxic chemicals from your internal environment. Find out which plants are the best here. This is quite a hot topic and needs to be clarified from a feng shui and numerology perspective. Read More! Welcome to the first Sacred Feng Shui Design blog for 2017 (click here to read the full article). See what the year of the Fire Rooster has in store for you and yours here. Feng Shui, Astrology and Numerology predictions for the Year of the Fire Monkey 2016. Read more! Find out what 2015 and the year of the Wood Goat has in store for you. 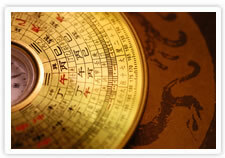 I look at the feng shui, chinese astrology and numerology energies for the year. Read more! Read this great article 'How to attract good luck into your home' in Australia's Good Health magazine Feb 2015 edition which I was interviewed and feature in. Read more! I had the pleasure of visiting New York in 2014. Besides shopping, sightseeing, wining and dining, and feng shui consulting, I visited some very interesting spiritual and metaphysical stores which you may wish to visit the next time you travel to New York. I also recommend some good places to eat and drink located close to the spiritual and metaphysical shops. Read more! Find out what 2014 and the year of the Wood Horse has in store for you, with my astrological and feng shui predictions. See where the positive and more challenging feng shui energies will reside in 2014. Read more! 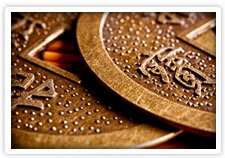 In the 2013 edition of my Feng Shui Newsletter you will find astrology predictions for the Year of the Snake 2013. Find out what the Year of the Snake will mean to you based on your Chinese Astrology Chart and Four Pillars of Destiny. I now have a free Four Pillars Calculator so you can look at your Chinese Astrology Chart. 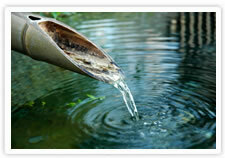 Find out what the ancient wisdom of the Snake symbolizes and the guidance it offers for 2013. See where the challenging feng shui energies lie in 2013 so you can place a feng shui cure in your home, unit, office or shop to keep the subtle feng shui energies working for you. Read more! Find out what Chinese Astrology and Feng Shui predicts for the Year of the Water Dragon 2012. Will it be the end of the world on the 21st of December? Will there be a shift in consciousness? Or will life motor along as usual? Read more! I am often asked during my feng shui consultations to either help my client find a partner, or give the current relationships a boost! Whether you are looking for someone special, or want to improve your current relationship, in this special edition of my feng shui newsletter you will find general feng shui tips to help you bring more love and romance into your life. Read more! Because there is so much negative press at the moment about the economies of the world, natural disasters and civil unrest in 2011, it is easy to focus on what is wrong, and forget about what is good in our lives and what we can do to improve it. So this newsletter has a zero cost Action Plan to improve your health, wealth and relationships. Read more! In this edition of my Feng Shui Newsletter - Feng shui tips on what to look for when buying a new home! Our home is our biggest financial investment and practical advice is given to help you find the right property. Are you concerned about the climatic destruction which has taken place this year from floods and earthquakes? Read my astrological analysis on these de-stabilising events. Insight into the Middle East revolution is also covered in this feng shui newsletter. I will be giving two feng shui talks in Brisbane at the Mind Body Spirit Festival in June. Read more! Wow .. its that time of year already! Get the lowdown and the hot tips on; What to expect in the Year of the Metal Rabbit 2011 - my astrology predictions; the feng shui energies for the Year of the Rabbit and how to remedy them; what you can expect from the Year of the Rabbit; free tools to calculate your Four Pillars of Destiny; tricky Mercury Retrograde happens again during the silly season - find out how to handle it. Read More! If you are travelling to Singapore, this article is invaluable. Not only do I discuss the feng shui of some of the most famous and beautiful buildings in Singapore, but I also list great places to shop for books, crystals, feng shui remedies, lovely venues to wine and dine, a beautiful temple to meditate in. Read More! In this month's feng shui newsletter; Feng Shui for Wealth - read the magazine article I was interviewed for which you will find in Good Health Magazine (October 2010 p.180); fascinating real stories about my space clearing adventures; Ben Cousins' astrology chart - insight into this talented and troubled young man; eco-friendly gardening tip. Read more! I often get clients asking me how to feng shui their home or office desk. So in this issue I explain how to feng shui your desk for success and good health. Included in this issue is an astrological update for August to September 2010, the clash (challenging) month for the Year of the Tiger. Many people are scared of spiders, so I have found a natural spider deterrent spray which is easy to make yourself. If you are not sure if you need a water filter, we now sell water test kits that assess 10 contaminants against EPA recommended levels. Read More! In this issue, you will find further insights into the exhausting energy of the Metal Tiger year. How 2010 may impact your Soul's Journey. In challenging year's such as this, it is a good idea to harmonise your home on a regular basis by space clearing. I give you a simple and effective method of Space Clearing for your home and business. Read the latest research on the harmful effects of Bisphenol A which leaches out of plastic baby bottles. Australian made and safe Glass Baby Bottles are now available in our Sacred Shop. Mercury will retrograde again in April for 3 weeks .. I advise how to handle this mercurial energy. I now offer Remote Feng Shui Consultations - find out more in this issue. Read More! In this issue, I give my predictions for the Year of the Metal Tiger. You will find free tools to calculate your four pillars (chinese astrology chart) so you can find out how 2010 will affect you. The feng shui Annual Flying Stars for 2010. The location of positive vs difficult energies and how to deal with them. 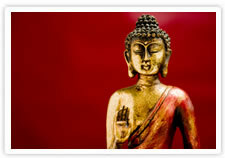 Feng shui tips to clear up your life and make room for new opportunities in 2010. What you can expect from Mercury Retrograde. Read More!